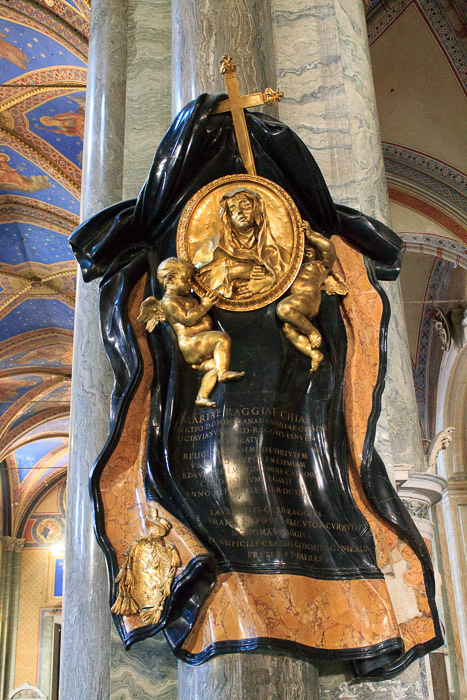 Santa Maria sopra Minerva (Saint Mary above Minerva) is located at the site of an ancient temple dedicated to the Egyptian goddess Isis, which had been erroneously thought to be dedicated to the goddess Minerva. Its convenient location behind the Pantheon means that when you visit the Pantheon you'll only be a block from the church anyhow, so you might as well stop in and see it. 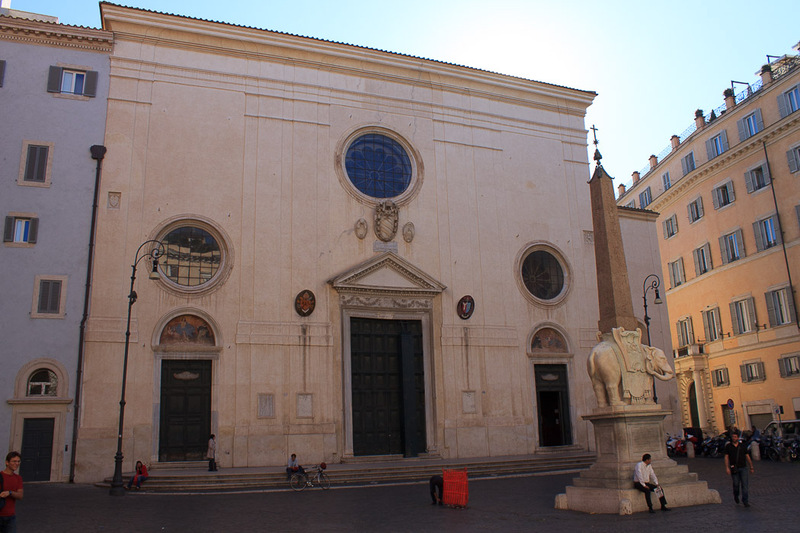 In front is the Minerva Obelisk which is supported by Bernini's Elephant (1st photo below). You can read the fun story of the elephant on the Minerva Obelisk page. On the outside wall to the right of the door are high-water-mark plaques marking how high the Tiber flooded in various years, bringing silt over the city which contributed to the rise in street level over the ages before it was contained within the stone walls you see today. 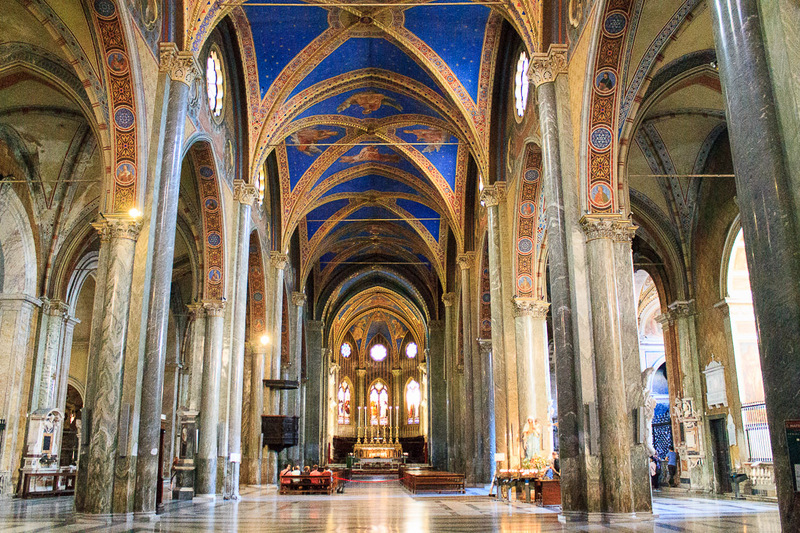 Inside, you'll see the only Gothic interior in Rome, featuring an arched vaulting that's painted blue with gilded stars (4th photo below). 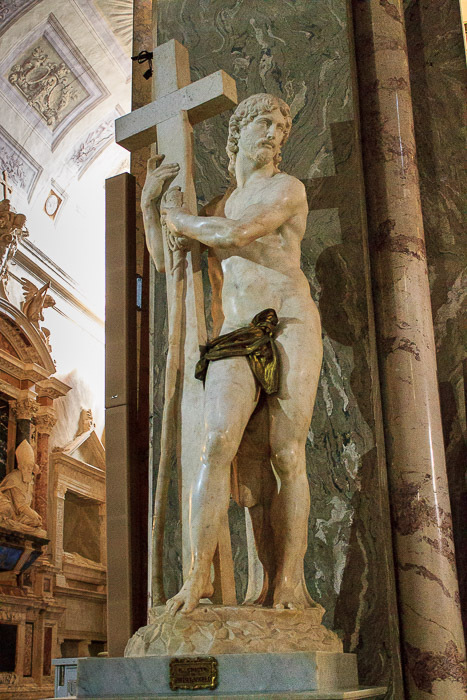 Artworks include Michelangelo's 1521 sculpture of "Christ the Redeemer" (6th photo below) near the altar, Bernini's "Tomb of Giovanni Vigevano" (2nd photo below), and Bernini's "Tomb of Maria Raggi" (5th photo below). 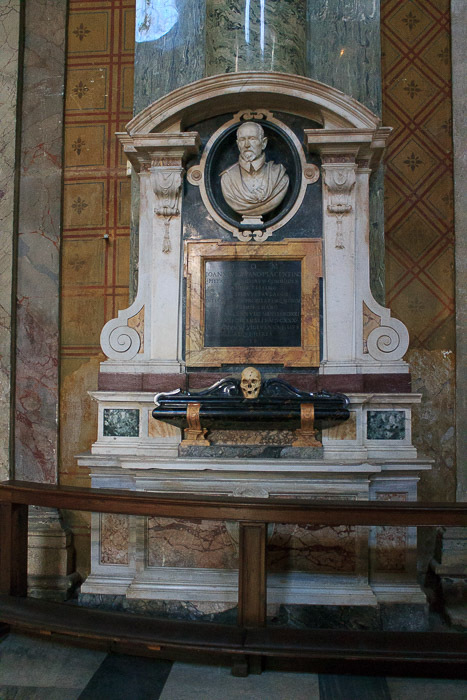 The altar (6th photo below) is where, in 1634, the 70-year-old Galileo knelt on the way to his trial before the Inquisition in the church's monestary. There, he renounced his belief that the earth revolved around the sun, but on the way out, he whispered "But it does move." 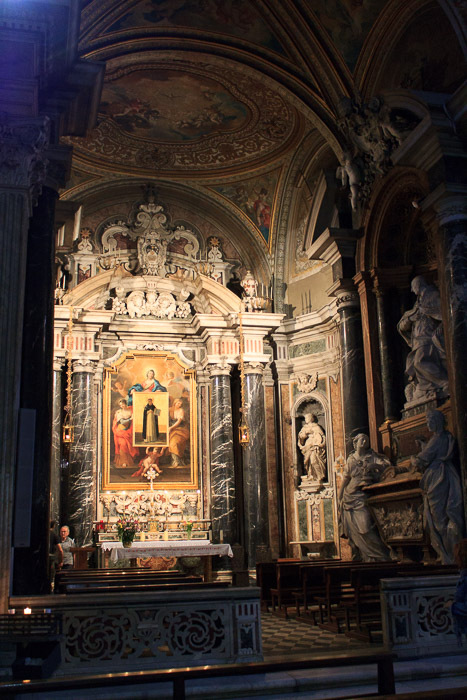 See all Santa Maria sopra Minerva photos.